Born: 6 August 1873, Verulam, Natal, South Africa. Clement H. Stott, architect and land surveyor, was a son of Simon Horner Stott, a missionary among the Indian population of Natal, and his wife Anne E. Newey. He passed the examination for the Survey Certificate of the University of the Cape of Good Hope in 1894 and that same year was licensed to practice in Natal. In 1897 he married Florence E. Harwin, with whom he had five children. During the Anglo-Boer War (1899-1902) he wrote The Boer invasion of Natal; being an account of Natal's share of the Boer War of 1899-1900, as viewed by a Natal colonist (London, 1900). By 1903 he was a member of the (British) Society of Arts (MSA) and a Fellow of the (British) Surveyors' Institute (FSI). He worked as architect and surveyor in the partnership Stott & Kirkby, which had by 1906 designed the YMCA buildings and many commercial buildings in Pietermaritzburg, Hilton College near the city, the Government School of Agriculture at Cedara, and the telephone exchange and other buildings in Durban. The firm had also surveyed a block of 70 farms in Zululand in 1905. In 1906 Stott was appointed borough valuator for Pietermaritzburg. Stott's hobby was geology and mineralogy and by 1903 he had been elected a Fellow of the Geological Society of London. Later he wrote A primer of South African geology (45p, with map), which was published in Pietermaritzburg in 1909. During the years following the Anglo-Boer War he joined several scientific and professional societies. He was a foundation member of the Institute of Land Surveyors of Natal (established in 1903, incorporated in 1905), served a term as president, and was its honorary secretary for 26 years. In 1903 he became a member also of the South African Philosophical Society and remained a member when it became the Royal Society of South Africa in 1908. In 1902 he became a foundation member of the South African Association for the Advancement of Science; and when the British Association for the Advancement of Science held its annual meeting in South Africa in 1905 he became a member of that too. In 1916 he became a foundation member of the South African Biological Society. 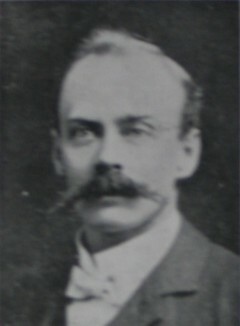 As early as 1904 Stott was elected on the City Council of Pietermaritzburg. He resided in the city until at least 1920. Later he moved to Durban and from 1932 served on the Durban City Council - as deputy mayor from 1935 to 1937. He was a provincial councillor for a number of years from 1933. (The) Institute of Land Surveyors of Natal. South African Survey Journal, 1979, Vol. 17(1), pp. 21-30. Malherbe, D.F. du T. Family register of the South African nation. Stellenbosch: Tegniek, 1966. Natal Colony. Civil service list, 1895, p. 114; and 1906, p. 180-181: Land surveyors. National Automated Archival Information Retrieval System (NAAIRS). . Documents relating to Stott, Clement Horner / Stott, Clement H. / Stott, C.H. South African bibliography to the year 1925. London: Mansell, 1968-1980. South African Journal of Natural History, 1918, Vol. 1(1), pp. 8-15: Roll of Foundation Members [of the SA Biological Society]; 1920, Vol. 2(2), pp. 293-301: Roll of Members. South African Philosophical Society. Transactions, 1906-1907, Vol. 16, 17: Lists of members. South African who's who, 1939.